Kayak is the perfect travel companion, that can really help you to prepare the perfect travel itinerary. This application informs you of everything from your flight times and prices (if your volunteering trip is self funded, then it can be a good way to make sure that you are getting the cheapest and best flight available on the days you are looking to travel). As well as looking at flights for you, it also have information on any nearby restaurants during your travels and also helps you out if you’re looking to rent a car to take you to your volunteering destination. Trailhead is an application that was made in collaboration with the outdoor clothing brand The North Face, which helps to locate any adventure spots in your area. Whilst travelling and volunteering, people also tend to take the time to soak up the culture and to explore the area. If you have never been to the place before, then it’s a great way to get yourself into the adventuring mood and can help you to get a better understanding of the country that you are staying in. This application needs to be exercised with caution, as it is can take you to some remote spots, remember, if you decide to go on a hike or on a walk into an unknown area, then either take somebody with you, or let somebody know your location. Google maps is an all round brilliant application for any traveller. If you are looking for a hostel, refugee camp or any volunteering station, then you can find it using Google maps. Using satellite tracking devices, this application allows you to virtually walk the streets, so that you can find your destination. It will also flag up any potentially useful information and destinations, such as the nearest gas stations, the nearest water supply, the nearest road etc. 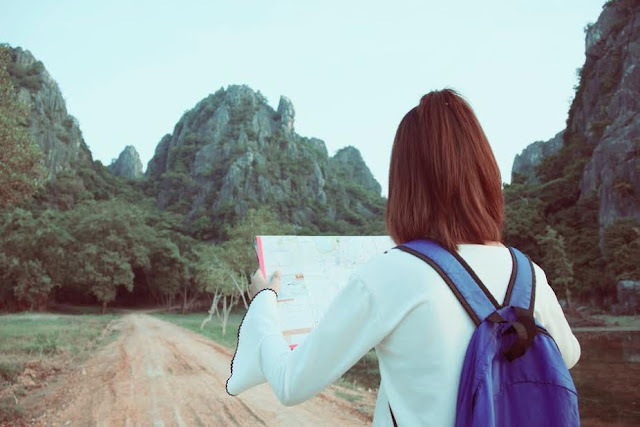 When travelling alone to volunteer, it’s often the case that people can get severely lost, so having an application that can find help and can set you on your way is often a huge reassurance. One of the biggest obstacles when travelling overseas is the language barrier, on many occasions travelling volunteers have gotten themselves into sticky situations due to misunderstandings. This application is one of the most innovative in mobile app development, as it can translate any conversation that you want to have, and can help you to get the information that you need. Google translate is perfect if you are volunteering to be a teacher, and can really help you to gain a better understanding of what is happening around you. When volunteering overseas for an extended period of time, it is only natural to begin to develop an understanding for the language and to be able to speak in parts of it, this application simply speeds up the process and can make those first few weeks much less awkward and confusing.